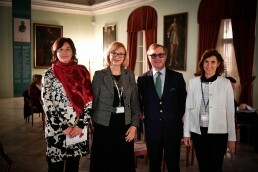 Museoeurope 2019 focuses on textiles, the culture of clothing and fashion. 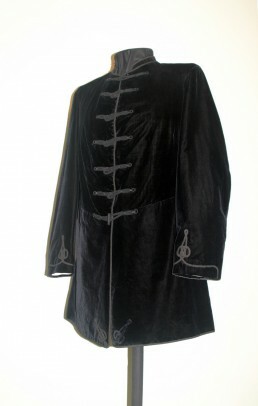 It establishes links between the role and the meaning of the culture of clothing and fashion in fine arts, aesthetics, culture and everyday life, both in the past and in modern times, pays attention to textile materials and technology from the beginnings of development to modern innovations, flirts with tradition and crafts and highlights good practices in museum exhibitions and pedagogical programs. 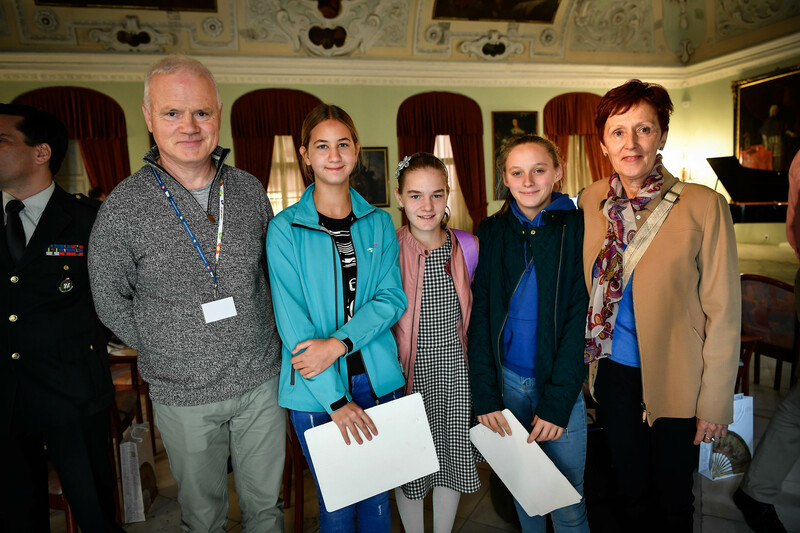 The Regional Museum Maribor is inviting you to take part at the international symposium entitled Textile, the culture of clothing and fashion.The symposium will be held in the Knight's Hall of the Maribor castle from17th – 19th of October 2019. The submission deadline for the preliminary titles and abstracts comprised of up to 600 characters without spaces is 9th Dec 2018. This invitation is aimed at historians, art historians, ethnologists, archeologists, anthropologists, sociologists, cultural scientists, psychologists, communicologists, pedagogues, textile technologists and other researchers of textiles, culture of clothing and fashion, to participate. The symposium will take place from 17th – 19 th of October 2019 at the Knight’s Hall of the Maribor castle. museoeurope@museum-mb.si or the telephone number: +386 (0)2 228 35 51. The Regional Museum Maribor is inviting you to take part at the international symposium entitled Uniformity. The symposium will be held in the Knight's Hall of the Maribor castle19th of October 2018. 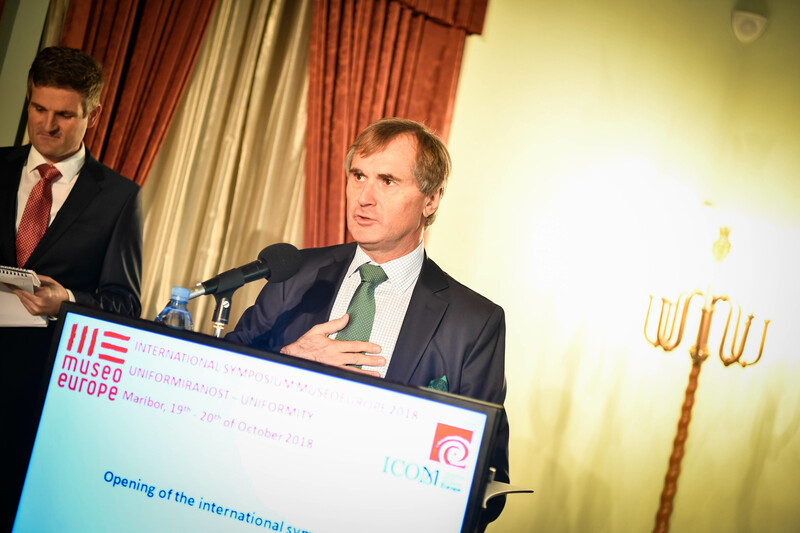 The MUSEOEUROPE 2018 symposium welcomes contributions about the development, characteristics and functions of military uniforms in different historical periods, the role and significance of civilian uniforms, the design, development and analysis of uniforms and their influence on modern fashion design, and the importance of the uniform as identity. 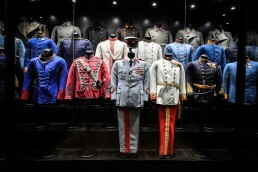 The experiences of exhibitors of uniforms and experts involved in their preservation will be of great interest. The role and importance of military and civilian uniforms (historical overviews, education, police, aviation, civil servants, members of the Sokol gymnastics organisation, railways, customs, etc.)I. This invitation is aimed at historians, art historians, ethnologists, sociologists, psychologists, pedagogues, fashion designers, textile technologists, etc. The symposium will take place from 19th of October 2018 at the Knight’s Hall of the Maribor castle. Additional information can be acquired at the following email address: museoeurope@museum-mb.si or the telephone number: +386 (0)2 228 35 51. The surka is a part of a men’s costume that was worn over one shoulder in addition to the formal summer costume. In the period around 1848, the surka was considered a Slavic national garment; it reflected the costumes of former Styrian Illyrians and Young Slovenes Slavic enthusiasts. Stanko Vraz (1810−1851), real name Jakob Fras/Frass, was a Slovenian-Croatian poet and one of the most significant members of the Illyrian movement. His Slovenian pseudonym was Jakob of Cerovec, Slovenian from Slovenia and his Illyrian pseudonym was Stanko Vraz, Illyrian from Great Illyria. The Regional Museum Maribor is inviting you to take part at the international symposium entitled Kitchen Debate - Debata o kuhinji. The symposium will be held in the Knight's Hall of the Maribor castle from 19th - 21st of October 2017. Museoeurope 2017 focuses on kitchen, food, and nutrition. This year’s project establishes the relations between the fireplace and the technological development of the kitchen, between food in the sense of aesthetic examination and the importance of its local production, between eating disorders and public consumption of food, between food within the art, culture, and politics. The symposium will also highlight examples of good practice in museum exhibitions and pedagogical programmes. 5. 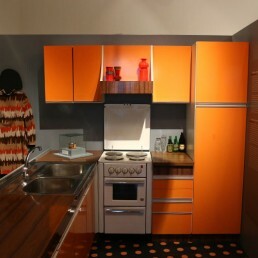 Set of topics: Kitchen and Food within Museum Exhibitions and Pedagogical Programmes. We invite archaeologists, ethnologists, historians, art historians, architects, designers, sociologists, museologists, food technologists, psychologists, doctors and etc. to take part. The symposium will take place from 19th – 21st of October 2017 at the Knight’s Hall of the Maribor castle. Additional information can be acquired at the following email address: museoeurope@maribor.si or the telephone number: +386 (0)2 228 35 51. The conception of the exhibition is based on the book How we survived communism and even laughed (1991) by the Croatian writer, Slavenka Drakulič (1949). 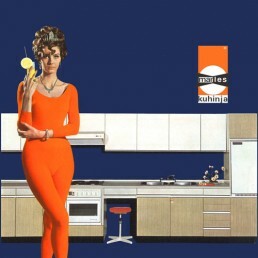 The author describes her visits to her friends in the Eastern bloc countries which always took part in the kitchens of her hostesses. Their gatherings were hearty and despite the want full of playful joy and optimism. 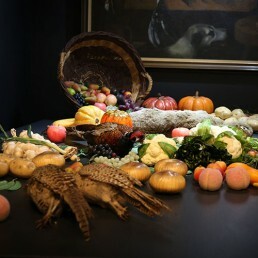 The exhibition is divided into nine content-related parts and highlights the kitchen spaces within different periods and social classes, and connects particular kinds of food with a story of a person that personifies the content-related part. 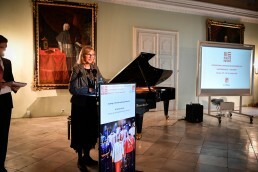 Museoeurope 2016 will be held in order to honour the 170th anniversary of a performance in the Knight's Hall of the Maribor castle which was held by the musical virtuoso Franz Liszt. We are also preparing an extensive exhibition about the musical life in Styria in the 19th century and a symposium which will be devoted to the musical virtuoso Franz Liszt within the scope of the project. The Regional Museum Maribor is inviting you to take part at the international symposium entitled Europe in the Time of Franz Liszt. The symposium will be held in honour of the 170thanniversary of Franz Liszt’s performance in the Knight’s Hall of the Maribor castle and will take place from 13th – 15th of October 2016 in Maribor. We invite historians, art historians, musicologists, architects, sociologists, and etc. to take part. Additional information can be acquired at the following email address: museoeurope@maribor.si or the telephone number: +386 (0)2 228 35 51. 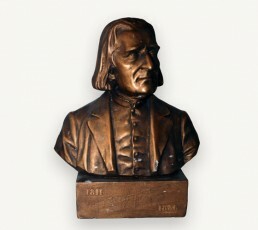 The exhibition Franz Liszt, the Small European Tour will emphasise the atrist’s tour in the year of 1846, when he performed in the cities of Graz, Maribor, Rogaška Slatina, and Zagreb. The exhibition will present the extensive collection of musical instruments of the Regional Museum Maribor for the first time. The exhibition will also be supplemented by objects which will be provided by guest institutions. We will present topics which are connected to the cultural history of Styria with the thematic priority concerning the development and creation of music in Styria. The meeting of two worldsThe topic of the project MUSEOEUROPE 2015 will be the comparison with the Ottoman cultural heritage of the 17th and 18th century. The selected museum objects that are being lent by three institutions from Sarajevo will be exhibited in the Knights’ Hall of our castle. The mentioned topic will be discussed on the symposium with international attendance. The Regional Museum Maribor is inviting you to take part at the international symposium which will be held from the 15th to 17th of October 2015 in Maribor. The principal topic of the symposium is the Meeting of Two Worlds of Culture from the Past: the western, predominantly catholic (European) and the eastern Islamic (regionally bounded by the former Ottoman Empire). The symposium will be addressing the topics concerning the incursions of the Ottoman army into our lands and the consequences which can be seen in the fields of architecture, fine arts, the way of life, etc. The papers are to be written in English; they will be published in an electronic publication. 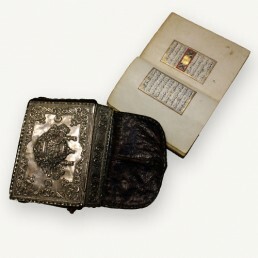 Museum objects that are being lent by three guest institutions from Sarajevo: The Sarajevo Museum, The National Museum of Bosnia and Herzegovina and The Bosniac Institute (Foundation Adil Zulfikarpašić). 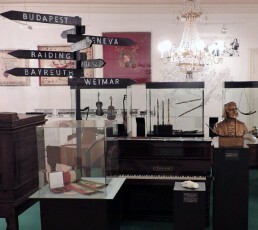 With its exhibition The Meeting of Two Worlds the Regional Museum Maribor confronts the atmosphere of the Knight’s Hall of the castle, which is decorated with ceiling paintings depicting the battle scenes with the Ottoman army, with the exhibited artisanal – handicraft objects originating from the Ottoman Empire. The aforementioned objects were provided by the three guest institutions from Sarajevo. Museoeurope 2014 - The practical value of the wooden wheelWith its exhibition The Practical value of the Wooden Wheel, the Regional Museum Maribor is emphasising one of the oldest crafts. The wheelwright's craft represents one of the most important branches of the economy. 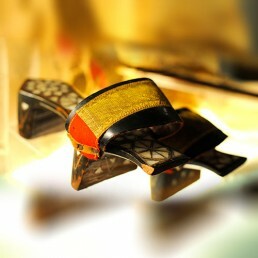 This craft is tightly connected with the production of the first means of transportation, which have mainly been used in the fields of the trade and agriculture. The evolution of the wheelwright's craft has preserved its progressive function from its beginnings, when 5200 years ago the wheel with an axle had been developed, and until the very day. The Regional Museum Maribor is inviting you to take part at the international symposium, which will be held on the 26th and 27th of September 2014 in Maribor. The principal topic of the symposium is The Practical Value of the Wooden Wheel. The symposium will be addressing the topics concerning the different views on the applicability of the wooden wheel, with the emphasis on the research of transport, agriculture and different crafts, whereby the wheelwright’s craft will be the one, which will be brought into prominence. The papers are to be written in English; they will be published in an electronic publication. Additional information can be acquired at the following email address: oskar.habjanic@maribor.si or the telephone number: +386 (0)2 228 35 51. 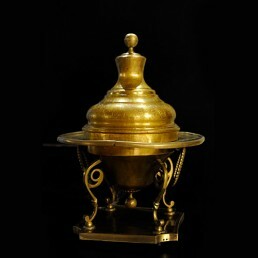 The main artefact, which is being lent by the National Museum of the Romanian Peasant from Bucharest, is complementing the permanent exhibition on the wheelwright’s craft of the Regional Museum Maribor and is representing a part of a cart from the 20th century. It had been used by the inhabitants of the Obîrsia village in the Hunedoara region, a wider part of the multicultural region of Transylvania. The wheel is a component of the cart. It is made out of oak wood, bind with two metal rings, 12 spokes (from which 11 are made out of ash wood and one from acacia wood), and six rings made from ash wood. A metal ring, with the thickness of one centimetre, is placed on the outside of the wooden rings. The metal ring is secured by rivets, which gave resilience to the wheel. Museoeurope 2012 - The language of peaceJust like all states, Styria too had its own territorial army. Besides the infantry the army also existed of cavalry units. The latter consisted of harquebusiers and cuirassiers. The weapons were mainly acquired from the Styrian Armoury from the city of Graz. This armoury provided the armaments for the defence of the municipalities as well as for the mercenary soldiers. The Regional Museum Maribor invites you to attend a cycle of lectures by native and foreign experts, which will be held within the scope of the project The European Capitol of Culture – Maribor 2012. The lectures will refer to the guest appearances of the museum objects within the framework of the exhibition. We are expecting lecturers from Austria, Germany, Vatican, Poland, Croatia and Slovenia. The uniform of the Pontifical Swiss Guards takes us back to the times of the Counts of Brandis and the Pope Pius VI, who had spent the night in the castle of Maribor in the year of 1782. We can state without fear of contradiction that the pope had been accompanied by the members of the Swiss Guard, which had protected him on his journey from Vatican to Vienna. The first guardsmen are already being mentioned in the 16th century. The particular version of the uniform, which is being exhibited, dates back to the year of 1914 and was codified by the Swiss Guard Commandant of the time, Jules Repond. Straub is the family name of renowned sculptors, which originated from Wiesensteig, a town in Baden-Württemberg in southern Germany. The Straub family is one of the most important artistic families in the sphere of Middle Europe in the 18th century. The sculpting profession of the father Johann Georg Straub (1674-1755) had been further developed by his five sons: Johann Baptist (1704-1755), who worked as a court sculptor in Munich, Philipp Jakob (1706-1774), a court sculptor in Graz, Joseph (1712-1756), a sculptor in Maribor, Johann Georg (1721-1773), a sculptor in Radgona, and Franz Adam (1726 – before 1771), a sculptor in Zagreb. The table with the family coat of arms of the Radziwiłł and Wiśniowiecki families was made during the rule of the Wettin dynasty, in the time of the Polish-Lithuanian union, which had been one of the greater countries in Europe of that time. The table was made for Michał Serwacy Wiśniowiecki and his wife Tekla Róża, born Radziwiłł. The motifs depict the love relationship as well as the families’ splendour and the pride of their titles of nobility. The Regional Museum Maribor holds the country´s largest and pivotal collection relating to fashion and textiles. The collection includes aristocratic and bourgeois fashion wear from the 17th century to modern times, women´s, men´s and children´s clothing, footwear, headgear, various fashion accessories, fashion graphics, journals and textiles of various other uses. In 2019, the fashion and textile collection will be presented in a new depot setup, which will also include items from a visiting museum of the MUSEOEUROPE 2019 project.